The Little Prince Celebrates its 75th Anniversary: The most-translated non-religious book in the world expands on its unique tradition of giving through new charitable activities, merchandise, and special events! The Little Prince Celebrates its 75th Anniversary The most-translated non-religious book in the world expands on its unique tradition of giving through new charitable activities, merchandise, and special events! The Little Prince marks its 75th anniversary this week and delights fans across the globe through social media campaigns, unique events and new official merchandise. 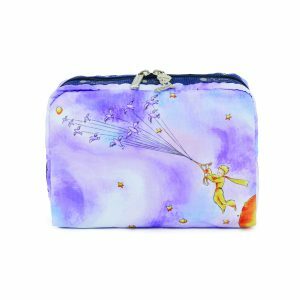 The Little Prince line of items ranges from a collection of graphic bag accessories to a 75th Anniversary edition of the novel, to a range of environmentally-friendly baby products. Pioneering aviator, best-selling writer and humanist, Antoine de Saint-Exupéry wrote The Little Prince in 1943. Long considered one of the greatest pieces of French literature ever written and voted as “The Best Book of the 20th Century” in France, The Little Prince also has a very special American connection. The book was written in the United States, while Saint-Exupéry was in exile and living in New York City. To date, the book has sold over 200 million copies and has reached more than 500 million readers around the world. In the US, 100,000 additional copies of The Little Prince are sold every year. A special 75th Anniversary edition of the book is available for pre-order now on Amazon and goes on sale in October. The story is inspired by Saint-Exupéry’s own experience of being a pilot stranded in the Sahara desert in the 1930s after a long-distance race. He originally wrote the book for young children, but it resonated with readers of all ages through its messages of respect for humanity, friendship, authenticity, and charity. A true cultural phenomenon, millions of fans are also experiencing The Little Prince in ways the author could have only imagined with visits to the theme park in France, the museum in Japan, and the flagship store in Paris. The Little Prince movie has been seen by 32 million viewers in theaters and 30 million on Netflix. A robust social media presence is driven by more than 10 million Facebook followers and 4 million views on the official YouTube channel. “It’s incredible to see how many people adore The Little Prince and that its wisdom is creating, connecting, and compelling fans everywhere seventy-five years later,” said Thomas Riviere, General Manager, SOGEX, an arm of the estate of Antoine de Saint-Exupéry. True to the spirit of The Little Prince, the Antoine de Saint-Exupéry Youth Foundation (www.fasej.org) was established in 2009 to concretely actualize the book’s mission by supporting projects for children around the world. In the last eight years alone, over $3 million dollars has been raised to fund more than 50 projects in 20 countries. In the US, Foundation efforts benefit art and education projects for the visually-impaired. 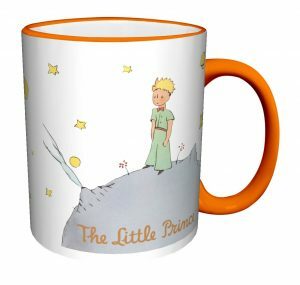 Every partner of The Little Prince is engaged in giving back; through their contributions to good works in the name of The Little Prince or a percentage of proceeds from the sale of licensed merchandise. Fans of the story can continue the good works inspired by The Little Prince on social media as well. As part of the diamond jubilee, people can participate in the anniversary celebration and send a “Happy Anniversary” message by posting their favorite quote from the book or a photo inspired by The Little Prince to social media platforms during April 2 to April 15th with #TheLittlePrince75. For each post, the Antoine de Saint-Exupéry Youth Foundation will make a donation to a new scholarship in the name of The Little Prince to help blind American students pursue their academic goals and achieve their dreams. (TLP75 Video). Houghton Mifflin Harcourt– Master Publishing Partner of 75th Anniversary Edition of the classic novel available October 23, 2018. Pre-order now on Amazon.com. Little Unicorn– All new line of Swaddles and Quilts featuring Little Unicorn’s signature watercolor take on iconic images from The Little Prince story. The 75th Anniversary collection of product also includes: infant apparel and sleepwear from Finn and Emma, a cotton fabric collection and a soft storybook from Riley Blake, men’s and women’s socks from Socksmith, a calendar from Rizzoli’s Universe imprint, boxed gift mugs, bookmarks and prints from Culturenik, an encyclopedia from Cernunnos (distributed by Random House), and music boxes and gifts from Trousselier. Because of The Little Prince’s American origins, the collection also includes a number of products specifically Made in the USA. Among them are: earrings and necklaces from Vinca, infant caps and baby blankets from Storiarts, t-shirts, scarves and posters from Litographs, inspirational shower clings from Dezign Your Mind, laser-cut wood décor from GArts, and a full range of lift-and-place wall graphics from Walls360. The Little Prince also celebrates its 75th Anniversary with remarkable event partners such as The Morgan Library & Museum in NYC (LINK), which will host a special exhibition of newly discovered drawings by Antoine de Saint-Exupery. A special screening of The Little Prince animated movie will also take place there on June 3, hosted by the film’s director and Foundation’s Goodwill Ambassador in the US, Mark Osborne. Throughout 2018, guests of Sofitel Hotels can enjoy special offers themed to The Little Prince through the chain’s “Magnifique Family” program (www/sofitelhotels.com). 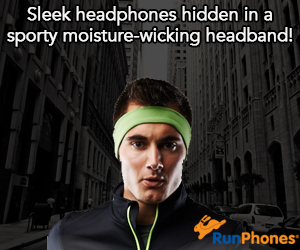 Self Disclosure: Information and images were provided. Some form of compensation (product) has been received to post.